Patan Academy of Health Sciences Lagankhel, Lalitppur published the result of MPH entrance exam which held on 2075 Ashoj 13. Below we listed ID no. of all selected candidates and waiting list candidates. 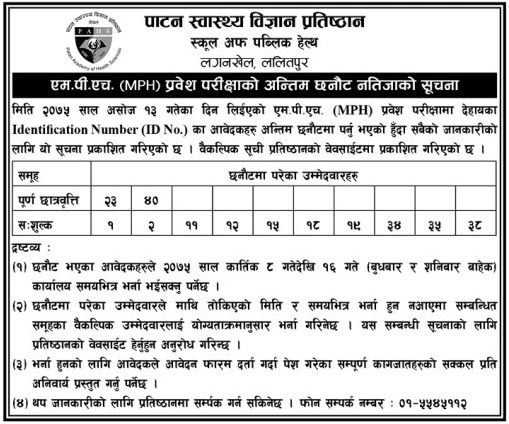 Check MPH Entrance Exam Result of Patan Academy of Health Sciences below.